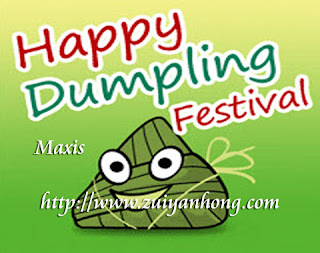 Maxis Communications Berhad sent me a Rice Dumpling Festival MMS greeting yesterday. After decades of toiling, I have totally lost the track of time. 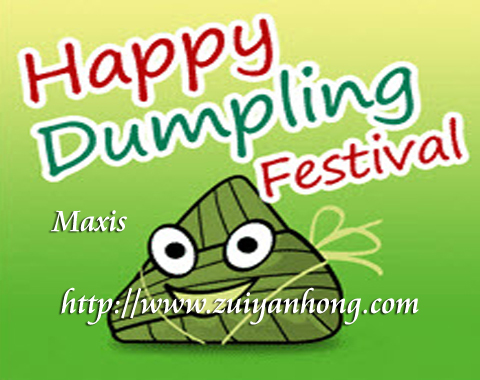 The message sent by Maxis Communications Berhad reminded me the Dragon Boat Festival. Serving as a teacher for years, my simple life can't be compared with the lucky costly condominium cattle. Cattle are more important than human being in Malaysia. This is indeed Malaysia Boleh.